Notable and notorious IndieWire film critic David Ehrlich recently put out a social media call for film critic peers to join a weekly survey to discuss movie topics, answer questions, and highlight their work. 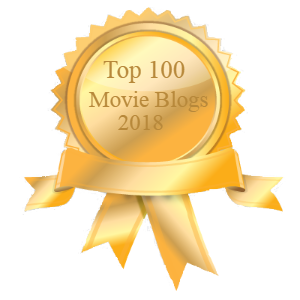 Representing Every Movie Has a Lesson, I, along with over 60 other emerging and established film critics including some of my fellow Chicago Independent Film Critics Circle members, accepted the invitation to participate. I’m honored by the opportunity, and I hope my responses are chosen each week. THIS WEEK’S QUESTION: What’s a criminally under-appreciated 2018 movie that people should be sure to watch before the end of the year? Folks, let me tell you. If I spelled them all out, the real to-do or must-see list from 2018 would take you all of 2019 to see. It’s been a wonderful year for entertaining and endearing films. For this survey question, I was proud and pleased to team up with my Feelin’ Film Podcast buddy Aaron White to tout a true winner. He and I have been singing the soundtrack and the praises of Brett Haley’s Hearts Beat Loud all year long. It’s available streaming for free right now on the Kanopy app connected to your local library. You can’t beat that price and I guarantee a great film experience!